Gazprom has become the world's biggest public company in terms of EBITDA, leaving Apple and ExxonMobil behind. In a separate development, the Rothschild Investment Corporation has been reported to be actively buying Gazprom shares. In the end of April, Gazprom published its consolidated financial statements for 2013. The Russian gas bellwether rose from the third to the first place in the world in terms of EBITDA (earnings before interest, taxes, depreciation and amortization), which grew by 22 percent to reach $61.4 billion. It is followed by China's Petrochina ($57.8 billion), ExxonMobil ($57.5 billion), and Apple ($55.8 billion). In terms of net profit, Gazprom is the world's fifth largest company ($35.6 billion) and in terms of earnings, the 16th ($106.4 billion). Experts polled by the business daily Vedomosti attribute Gazprom's EBIDTA rise to record-high gas supplies to Europe. Last year they grew by 16.3 percent, while the company's share of the market expanded from 26 to 30 percent. At the same time, gas prices remained practically unchanged. Europe is the main market for Gazprom, Sergey Vakhrameyev, an analyst with Ankorinvest told Vedomosti. It accounts for 40 percent of the company’s earnings. Yet, this rise in earnings has had no effect on Gazprom's capitalization. Still undervalued, the company is not even among the world's top 100 companies. As of April 29, Gazprom was only in the 110th place, with a capitalization of about $85 billion. By way of comparison, ExxonMobil's capitalization on April 29 stood at $436.08 billion, while that of Apple stood at $511.74 billion. It is therefore not surprising that Gazprom's increasingly cheaper shares have provoked an increased interest from the Rothschild dynasty. In the first quarter of 2014, Rothschild Investment Corporation increased its investment in Gazprom ADRs sevenfold, to $1.7 million, according to the corporation's statement filed with the U.S. Securities and Exchange Commission. “For a dynasty which has for many years been a symbol of wealth and power, this is not a significant amount. It is more of a signal that the situation on the Russian market may still improve,” an analyst with the brokerage firm FBS, Kira Yukhtenko, told Vzglyad. 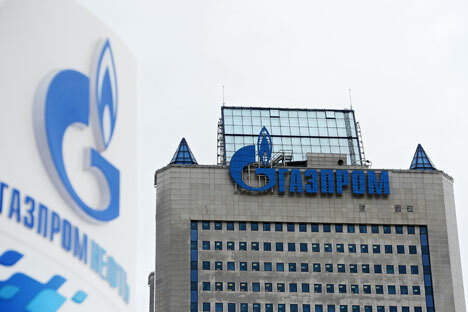 In the first quarter of 2014, Gazprom shares fluctuated between 120 and 145 roubles ($3-4 at the current exchange rate). By way of comparison, after the 2008 crisis, the company's stock lost 74 percent of its value and was priced at 84 roubles. Then the price began to rise and reached 247 roubles in 2011, after which it went down again. Gazprom shares continue to be undervalued, Yukhtenko said. Their future value entirely depends on the West. If the West resorts to tougher economic sanctions against Russia, then everybody will suffer and Gazprom in the first place. In that eventuality, the company's shares may drop down to $2, the analyst continued. “If tensions in Russian-Ukrainian relations ease, Gazprom shares will go back to 135 roubles (about $3.7) and will continue to rise further,” Yukhtenko concluded. Based on articles published by Vedomosti.